“The Societal Dimensions of Sámi Research” is a research group, which connects scholars from Tromsø University Museum, Umeå University and Giellagas Institute at the University of Oulu. The key aim of the group is to advance research on the evolving relationships between scholarly productions on the Sámi and Nordic societies. The central premise underlying this research group is that in order to understand these relationships, it is important to study the complex societal conditions, which have framed the production of academic knowledge in different periods. The research group is multidisciplinary and highly comparative in nature, and the material examined will cover research-society relationships in the High North from the 'Lappologist' era to the present. Our point of departure is that the complex interdependence between scholarly knowledge production and society goes both ways and we are interested in both, 1) how different institutional and societal contexts as well as discourses have impacted upon the production of knowledge regarding the Sámi across time? And, 2) how has this academic knowledge actually impacted upon Sámi communities and their standing within the Nordic societies? Three thematic fields have been selected in order to focus fieldworks and allow for comparisons: “The Societal Dimensions of Research on the Sámi in Norway and Finland' builds a broader, historically and internationally comparative understanding of the ways in which the relationship between academic knowledge and society has transformed in the context of academic knowledge concerning the Sámi in Finland and Norway”. “Museums as Arenas for Production and Dissemination of Knowledge on Sámi Cultures, Societies and Identities”, examines how the relationships between science and society have changed in the context of Nordic museums, and whether and how these changes have impacted upon the societal discourses surrounding the Sámi. Finally, the third thematic field “Nordic Media as a Field for Negotiating Scholarly Knowledge on the Sámi” explores how knowledge, produced by scholars working with Sámi issues, is articulated, transformed or omitted through the channels of Nordic digital media. How has media’s images and discourses affected researchers’ focus and results, and thus the professional and disseminated understandings of Sámi pasts and presents? In addition to the local members at TMU: prof. Ivar Bjørklund, Dr. Art. Jukka Nyyssönen, PhD Cathrine Baglo, curator Dikka Storm, assoc. 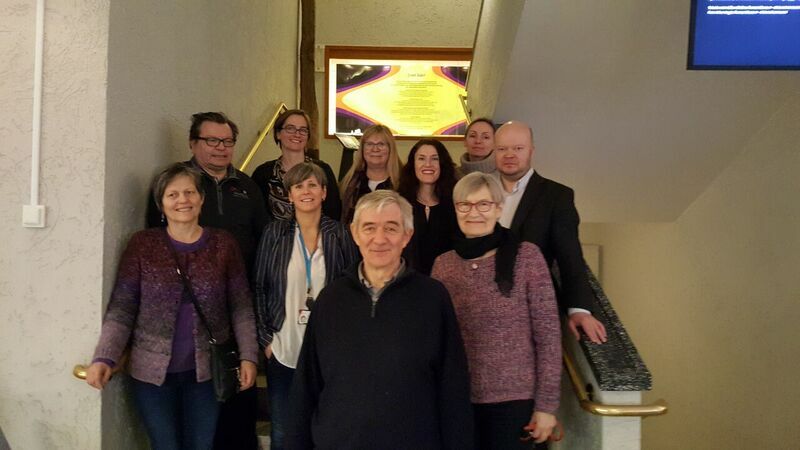 prof. Rossella Ragazzi and prof. Trude Fonneland, the project involves an international group of four senior as well as younger researchers; prof. Veli-Pekka Lehtola, PhD Laura Junka-Aikio, prof. Anni-Siiri Länsman, PhD Silje Opdahl Mathisen, and assoc. prof. Coppélie Cocq.